Clogged drains don’t happen overnight. If you pay close attention (and you should), you’ll probably notice when the water takes a little longer than usual to go down the sink. It may be a single sink or different basins around the house. Sometimes, it affects the toilet too. Instead of the water swirling straight down, it may rise closer to the top of the bowl before dissipating. The lag time doesn’t have to be dramatic – it may only take a few seconds more than it ordinarily does, but it’s a sign the drain is starting to blockage. 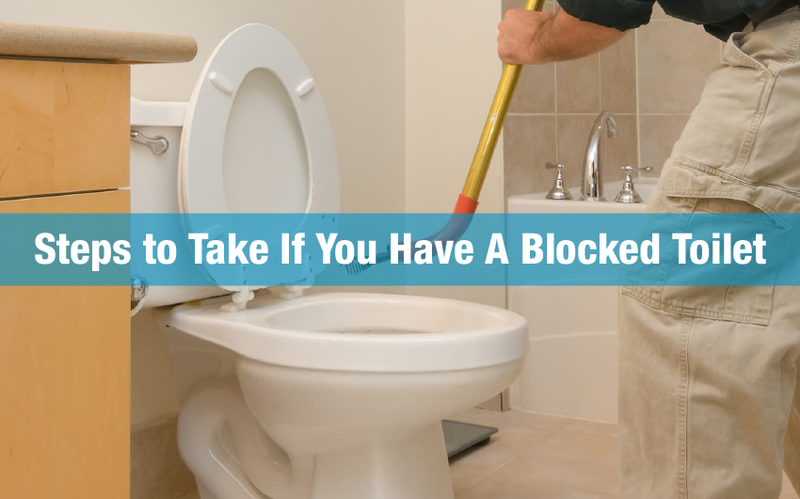 If you don’t take corrective measures, the blockage will pile up and eventually, you could end up with smelly drains, stagnant water, sludge bubbling back into the sink, or toilets that won’t flush at all. By the time things are that bad, you’ll have to call in a professional, and that could cost you a lot of money. Being observant (and routinely checking external drains) will help you identify potential clogs earlier. As soon as you notice the growing mess, don’t rush for chemical solutions. They work, but they hurt the environment too. Instead, use greener methods of unclogging your drain. Start with that most trusty of plumbing tools – the plunger. 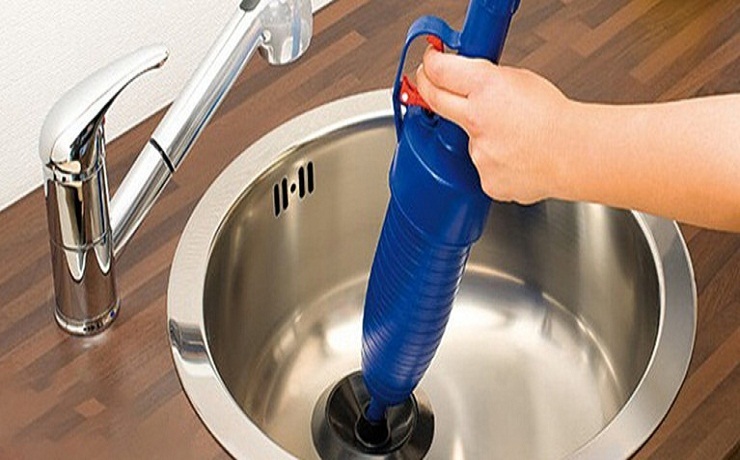 Use a regular plunger for sinks and a toilet plunger for toilet bowls or corner drains. (The curvature at the corner may make it inaccessible or impractical to use the regular plunger because the cup won’t cover the hole well enough for effective suction.) If it’s a basic clog, it will clear. But if multiple pipes are affected, it’s probably the external drainage that’s blocked. You could try using a drain snake or wire hanger to push the clog outside, or if you can see the blockage, you could put on gloves and try to manually pull out the accumulated debris. Only do this is the mess is visible. Otherwise, call a plumber. On the other hand, if the clog is localised, like a kitchen sink or hand basin, you can pour a mix of hot water and dishwashing liquid down. Or you could try a home remedy like baking soda and vinegar, which is mild enough to avoid eroding your pipes but strong enough to clear clogs. Begin by pouring hot water down the sink. 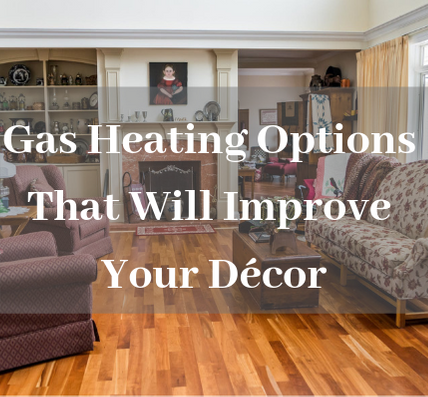 It will melt any greasy bits blocking the pipes and push them further along. 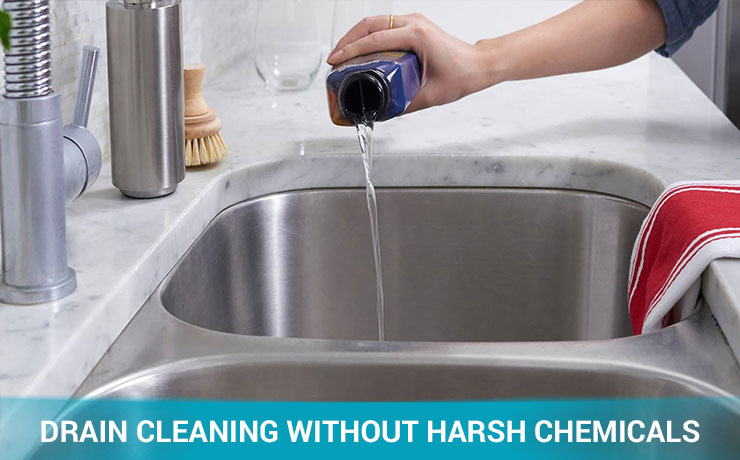 Then sprinkle baking soda, making sure it goes down the drain rather than sitting on the surface of the sink. Baking soda is a mild alkali (sodium bicarbonate) with a pH of 9. Then pour white vinegar or hydrogen peroxide down the drain. You might hear some fizzing and see some foam bubbling up the drain. That’s the reaction between the alkali and the acid (vinegar = acetic acid, pH 2.4; hydrogen peroxide = pH 2.7). Let the chemical reaction finish, wait ten minutes, then pour more hot water down the drain to see if it’ll go down. You may have to repeat the steps two or three times. By the third round, you could unscrew the sink trap, place a bucket underneath, and do the hot water-baking soda-vinegar-hot water cycle while using a drain snake in the horizontal portion of the trap. Push the clog further along the pipe and hopefully out into the open, letting it access the external drain. Then you can go outside and fish out the residue. It’s interesting to note that while vinegar and baking soda are most frequently cited as natural de-cloggers, there are people who don’t believe it’s a functional combination. After all, the reaction is too mild to have much effect – they say. This school of thought says the real secret of #VineBa is the hot water that goes before and after, melting the greasy gunk. Still, since you already have these organic products in your home, you could give it a try before you go out and buy something expensive or potentially poisonous. Not all drain cleaners are toxic though. If your home remedy and coat hangers haven’t dislodged the blockage, you could try a certified green de-clogger. These brands use enzymes to destroy debris, but they’re fully biodegradable so they don’t mess the soil, sewers, or waterways. Brands include Enzyme Wizard cleaning liquids and Antizyme pellets. Enzyme cleaners and de-cloggers work by ‘digesting’ blocked matter and converting it into water and carbon dioxide. They’re gentler on your pipes, and don’t have to be heated up before use. Next PostIs Your Business Franchise-Able?